Today I have a little thank you note to share with you. I'm working on them for my students, and I created lots of these to send out to the girls in my class. The Papertrey Ink Embroidered Blooms stamp set is very fun to play with because there are so many layers, allowing for lots of pretty colors! My card base is 4 7/8" x 3 1/2", which fits into some little envelopes I found at Michael's. The sentiment is from PTI's Signature Greetings stamp set. 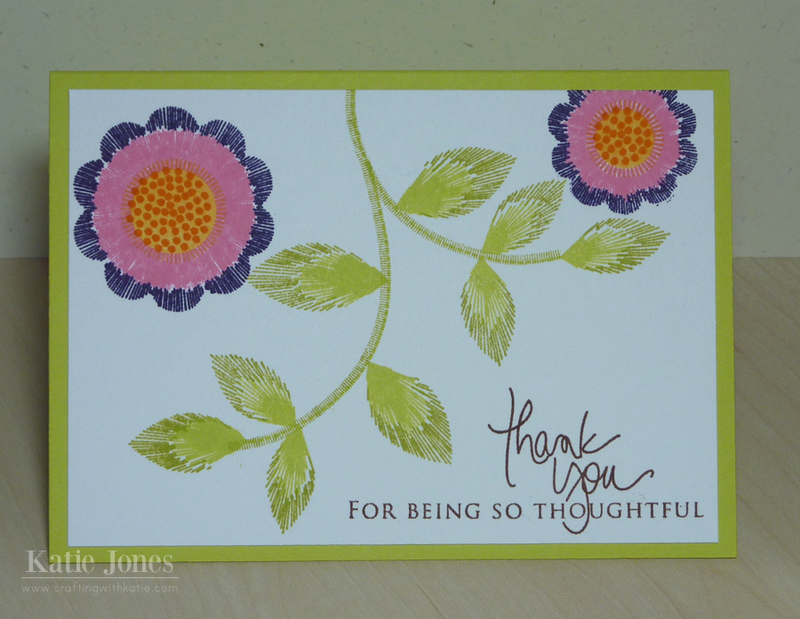 very pretty and so perfect for a thank you card. Katie ~ Well you know I LOVE this card! The flowers, colors and the sentiment is just BEAUTIFUL!! !